Where are our curvy girls out there? Natalie loves the inclusivity of Cashmerette patterns. This pattern comes in sizes 12-28 with cup sizes ranging from C-H. In this class we will make the tunic with a super cute and cozy cowl style turtleneck. Feeling left out? 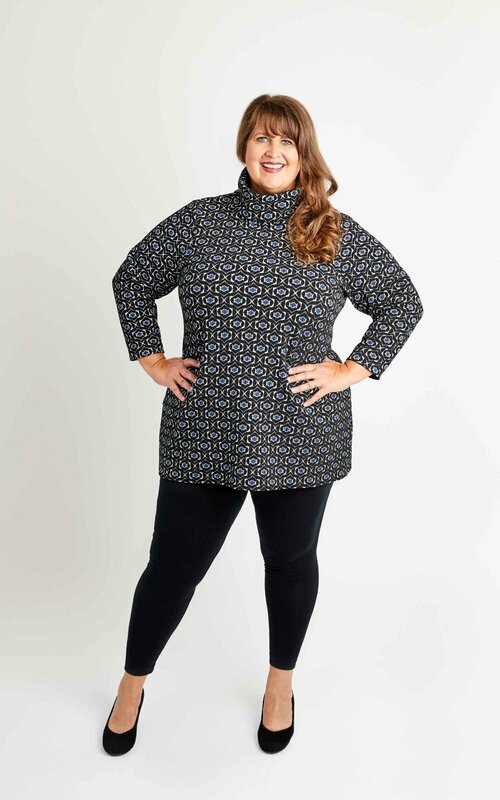 You can take this class and use the Sew House Seven Toaster Sweater pattern if you are under a size 12.